Foley Freeman is the largest and oldest law firm in Meridian, Idaho. We have grown to serve clients throughout the Boise Valley, but remain deeply rooted in our community. For 30 years, our success has been based on a simple, yet effective, core mission: To provide prompt and valuable legal service each day for every client. Our attorneys are highly skilled in their practice areas. Howard Foley has served as president and board member of the Commercial Law and Bankruptcy Section of the Idaho State Bar, and Mark Freeman is a member of the Real Property Section. Our attorneys are also active in Family Law, Corporate Law, and Trust & Estate Law Sections of the Idaho and American Bar associations. A Boise divorce attorney from our firm can provide assistance across the spectrum of family law matters, including child custody and support, property division, maintenance, modifications, enforcement, and paternity. Likewise, a Boise bankruptcy attorney at Foley Freeman can help clients with consumer and business bankruptcy, creditor harassment, and rebuilding credit. In the area of estate planning, we help clients identify the appropriate legal instruments and entities, such as wills, trusts, and business organizations, to protect assets and reduce or eliminate estate taxes. Since our firm’s founding more than 30 years ago, Meridian has grown to be the third-largest city in the state. We have made a continuous effort to meet the legal needs of Meridian residents, while expanding our reach to serve clients throughout southern Idaho. 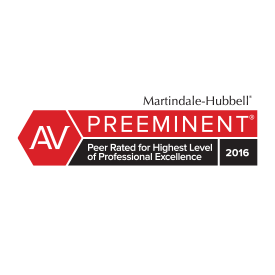 Foley Freeman’s dedication to our diverse clientele and to community service has been honored with an AV preeminent rating by Martindale-Hubbell, the national directory of attorneys. This is the highest honor of merit bestowed upon a law firm, and is based on the opinions of our peers. Foley Freeman has an outstanding reputation among Boise Valley law firms for our experience and commitment to excellence. We welcome you to contact our firm to learn how we can provide valuable and meaningful services to you or your organization. Foley Freeman is located in Meridian, Idaho and serves clients throughout the Treasure Valley. In addition, Foley Freeman’s state-wide bankruptcy practice also includes Coeur d’Alene, Pocatello, Jerome, and Twin Falls. Foley Freeman Attorneys at Law is located in Meridian, ID and serves clients in and around Meridian, Boise, Garden City, Middleton, Kuna, Star, Eagle, Caldwell, Melba, Greenleaf, Huston, Grand View, Marsing, Notus, Emmett, Letha, Ada County, Canyon County, Gem County and Owyhee County.